The interview process offers a chance to dig deeper than a resume’s bullet points, and with the right interview questions, you can really experience the personality of a candidate. A person is more than the sum of their degrees, skills and work history: that is merely a black-and-white portrait. The color is how they behave in stressful situations, with groups of people they aren’t familiar with and other subtleties which often take months to reveal themselves. However, if you’re an apt interviewer, there are questions you can ask that reveal a person’s true personality, which helps you speed-read a potential employee and begin to build a lasting rapport with them. 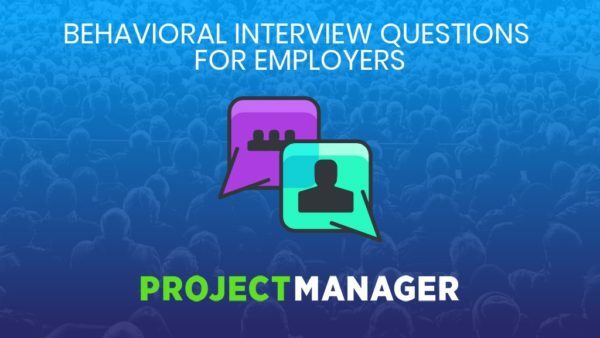 By using behavioral interview questions, you cut through the memorized script and get to the real person. The following are 10 of the most revealing behavioral interview questions with explanations of how they expose a more honest portrait of the person you’re interviewing. 1. What did you once believe but no longer believe? One of the most important aptitudes for anyone you hire, for anything, is the ability to change. If you hire someone who is rigid, they’re going to flounder in an environment in which things are in flux, and what business isn’t constantly pivoting to take advantage of an opportunity? This interview question will tell you immediately if the candidate is open-minded or not. If they do join your team, there’s going to be a learning curve with a new corporate culture, new project management tools and new office relations. Therefore, if they answer this question easily, you’re dealing with someone who can handle change. 2. What’s a mistake you made at work? You could have just said, “Tell me about your greatest weakness,” but then you might get one of those pat answers like, “I’m too dedicated.” To avoid the commonplace response, place your question in a real-life scenario where they must relate the answer to their own experience. How they respond will tell you how self-aware they are. Everyone makes mistakes, but what you’ll be listening for is how they define the thought process that lead them to the error, and how they learned from that mistake so as not to repeat it. 3. What is a work-related success you’re particularly proud of? While they’re expressing a successful point in their career, you can be listening for more intimate details about their professional growth and what kind of work they’re passionate about. You can see what they’re comfortable with in a work-setting, but also why their skills align to that kind of work and if those skills are what you’re seeking. 4. What company competed with your previous employer, and how was your employer different than them? This is an interesting behavioral interview question in that it helps determine if the candidate has a strategic understanding of business. You might be surprised how many people are caught off-guard by such a question, which shows how many workers are skilled at their little corner of the business but ignorant of the bigger picture. The employee should know their old business’ mission statement, goals and competitors, just as you’d expect them to become fluent in your own company’s. Sure, they might not have anything to do with any of those aspects in their day-to-day job, but you want employees who have a holistic understanding of the business and who aren’t working blindly on their segment of it. 5. When I talk to your old boss, what will they say about you? Okay, this can be a loaded question. But you want to put your candidate on the hot seat, so why not ask it? They’re going to be under pressure at work, so if they can’t handle that in an interview then it doesn’t speak well about their longevity in the job. More than that, it shows how the person speaks about others and themselves. Regardless of the relationship they had with their previous boss, you want someone who is respectful, professional but also realistic in their portrayal of that relationship. 6. When you had a conflict with a coworker, how did you resolve it? This is like the above question, but from a different angle. The relationship between coworkers is crucial to the smooth-running of any project. That doesn’t mean there won’t be conflicts. Anyone working with someone else, be they intimates or strangers, will hit a rough patch or disagree on something. How they resolve (or don’t resolve) that conflict says a lot about their ability to work with others. You’ll learn how they see themselves in the conflict and what their priorities are as they relate to the coworker they’re opposing. Whether you would resolve the conflict the same way is less relevant than how effective the candidate’s approach was. 7. What is something you had to learn quickly without having prior knowledge of it? The work environment is a fast-changing one, and employees are expected to keep up with new skills and procedures. It’s likely you’ll be hiring a person who’ll have to undergo training before they take over the position, or at least at some point during their career with the company. You can’t expect the candidate to know everything, but you can expect them to be fast learners. The way they answer this question will help you determine how confident they are when confronted with the unknown. You’ll also have insight into how they learn and if they’re able to mentor others in passing on their own skills. 8. What are you passionate about outside of work? If they don’t answer the question satisfactorily, they probably have a poor work-life balance. If their answer is general, they might not be the creative type you’re looking for, or they could be overly nervous, which speaks again to how they’ll fit in the culture of the company. 9. How did you finish tasks with conflicting goals or deadlines? Workload management is a key to productivity. It’s not as simple as taking one task and following it solely to a conclusion. There are usually multiple assignments that one is responsible for, often with deadlines that are stacked on the same day and that can pull you in different directions at once. How does your candidate deal with that stress? What you’re looking for in the answer to this question is how much the candidate can take on at the same time and how efficient they are at managing their time across these various tasks. Listen to how creative they are in their problem-solving. 10. Do you remember our names? You might as well end things on a semi-humorous, semi-stressful note. You’re being playful, but you’re also seriously testing their professionalism. If hired, they’re sure to interface with multiple people. If they can’t remember names, they’ll look as if they’re out of it or, worse, disrespectful. You’re also putting the person on the spot, so it’s another test of how they handle pressure, of which there is always an abundance of in any job. Even if they don’t remember everyone’s name in the interview, how do they respond to this lack of knowledge? Are they self-confident, playful? It’s more about their response than their memory. Behavior is an important factor when considering a candidate for a position in your company. Once they’ve proven that they’re right for the job, then it’s your responsibility to give them the best tools available. ProjectManager.com is a cloud-based project management software that delivers real-time data on a collaborative platform to help everyone work better together. Try it today with this free 30-day trial.